Thirteen months! 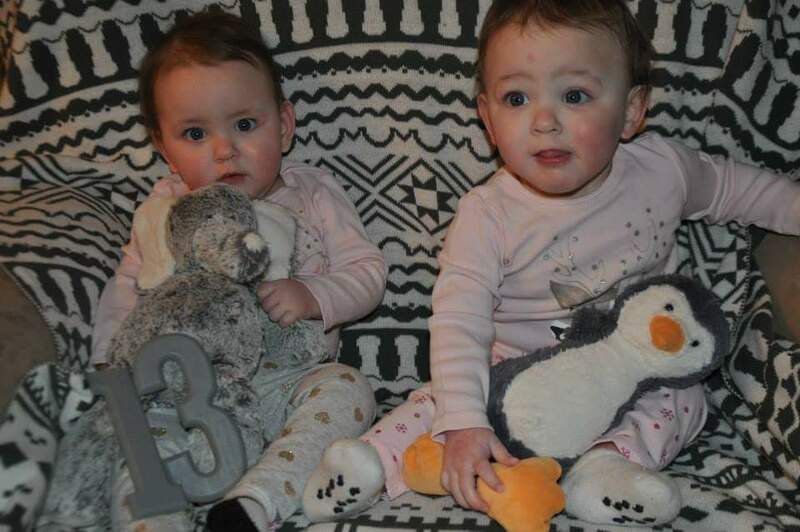 Next month the girls will be at their corrected one year, which is hard to believe though they seem to change every day. Raegan is 18 pounds and 28 inches long and has six teeth (the top front four and bottom two) and is getting more. Those canines are definitely getting ready to pop through soon. She is pulling herself up every now and then and still hasn’t settled at all, she needs to be in constant motion. She loves to eat, especially meat. She’ll pick out the meat from the assortment of food on her tray and wait for more before settling on fruit or vegetables. She is a babbler, always telling stories. Ella is 19 pounds and about 29 inches long. She has five, almost six, teeth (top front three and bottom front two), and like her sister will soon have more. She is getting close to rolling over on her own and is definitely getting stronger. She was officially diagnosed with cerebral palsy, but of course, that is such a broad term. Ella also loves to eat and hasn’t met a food she doesn’t like yet! The girls have started chatting with each other. The other day at lunch they would turn to each other; one would babble, then the other, then back to eating. I wish I knew when it was coming so I could tape them! January was filled with doctor and therapy appointments and now February is filled with snow so not too many fun things happening, but we’re fitting in as much as we can! We hit the Target clearance sale yesterday (the Canadian stores are all closing – boo! ) 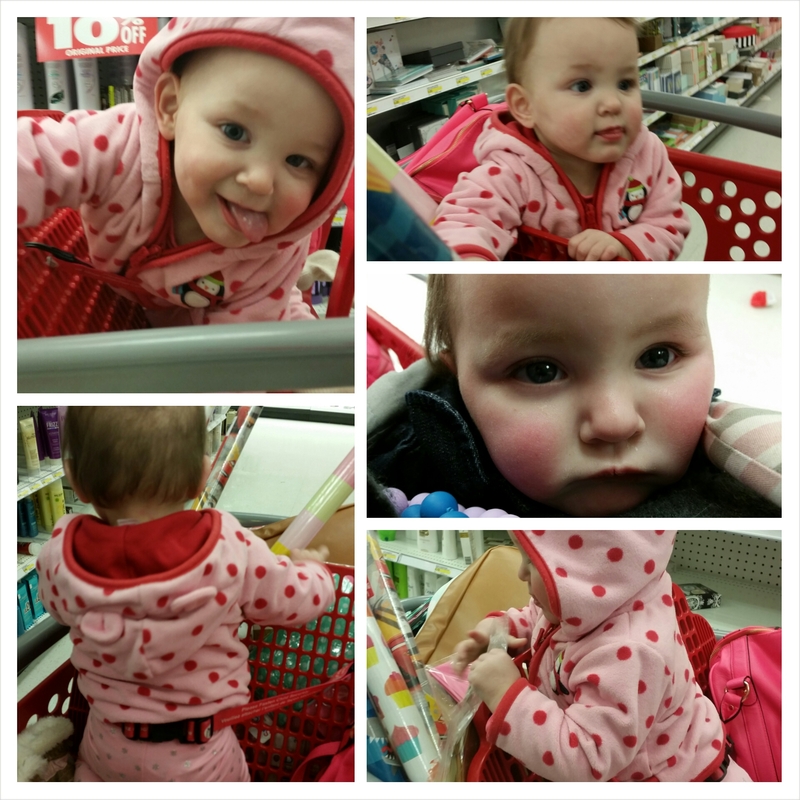 and Raegan wriggled around the cart which was hilarious! Ella was pretty happy gnawing on her chewbeads and staring at me. Who knows what fun adventures we’ll get into this month! This entry was posted in Baby love, Baby update! and tagged cerebral palsy, development, identical, milestones, momo, mono mono, NICU, preemies, special needs, twins. Bookmark the permalink.